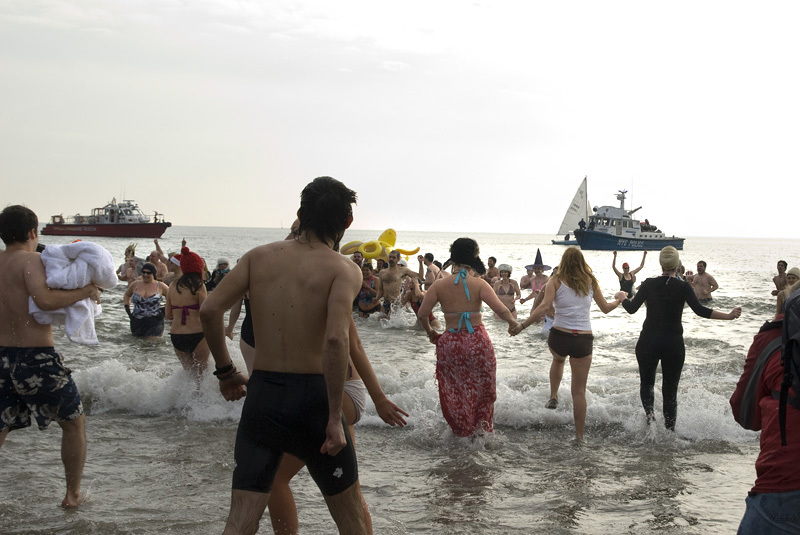 To ring in the New Year I traveled along with some friends as they took the plunge into the ice cold Atlantic. Coney Island bound. I was absolutely surprised by the amount of people who also had the same idea, but like any other event out at Coney it is madness with a splash of wonderful. Clothes were stripped. Blood warming jumping jacks. Then a run into the water - brrrr just rethinking it. They stayed in the water an impressive 2 minutes and 21 seconds. Some blood warming libations led to an afternoon of dancing that felt like any other day on the boardwalk - except for some were in bathing suits - most in winter coats, hats, gloves, etc. An exhilerating day to wipe away 2009 and move forward full force with 2010!